You are here:Home » Recipes » Munch Ministry Interview + Flower Gummies Steps Revealed! 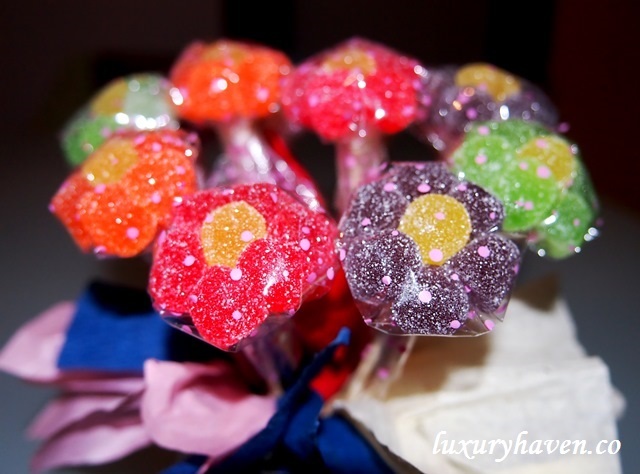 I’d a party last week, & so I scurried around to look for the perfect gummies for my flower bouquet. As I was my first attempt, I just bought 2 small bags in case I didn’t succeed. The steps are really simple. The toughest part was holding the #gummies together to wrap them nicely in my palm. I’d a hard time; not sure if it was due to my petite hand. So I decided to use a small bowl to hold them together instead, & it worked like magic. I managed to make 12 stalks of flowers & dumped the rest of the gummies into the “vase”, & decorated it with some nice colourful papers! My guests were extremely impressed & they happily brought home the stalks of flowers. Of course, they were equally overwhelmed by the #HelloKitty Japanese Rice Balls too, but I'll touch on that in another post so please be patient. That aside, I’m very honoured when I was approached by Munch Ministry for an interview recently. You may have heard of #MunchMinistry if you’re a #HappyCallPan user. Set up by 2 wonderful mummies, Louisa Loh & Pauline Wong, the community is all about home cooking. So do hop over to their site after you’ve finished going through the gummies steps, to read all about my culinary adventures + couple of my signatures recipes. 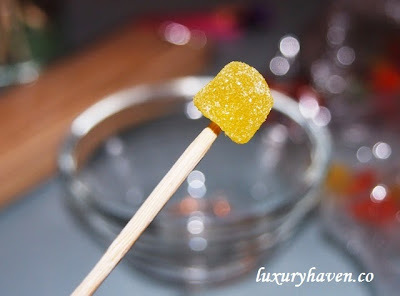 Insert stick into yellow gummy. Place wrapper onto palm or bowl. Put yellow gummy in the center. 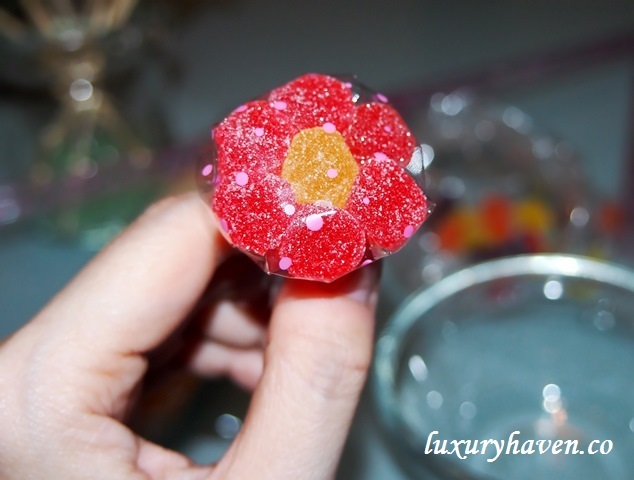 Pick 6 gummies & place them side by side forming the petals. 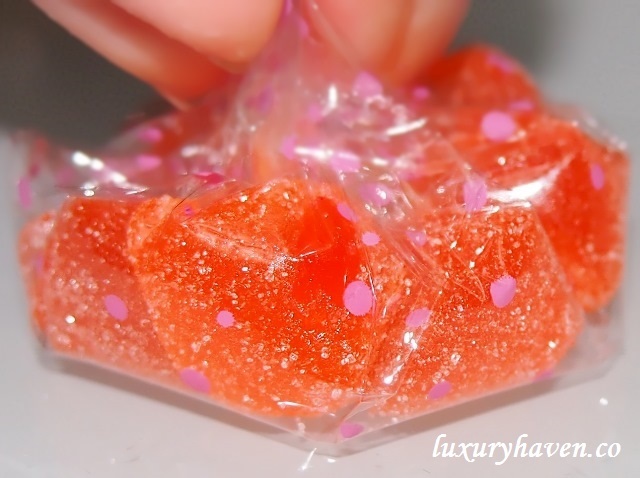 If using bowl, remove the gummies carefully & place them on a flat surface. Gather the wrapper together & tape around it to seal the flower. Tada! 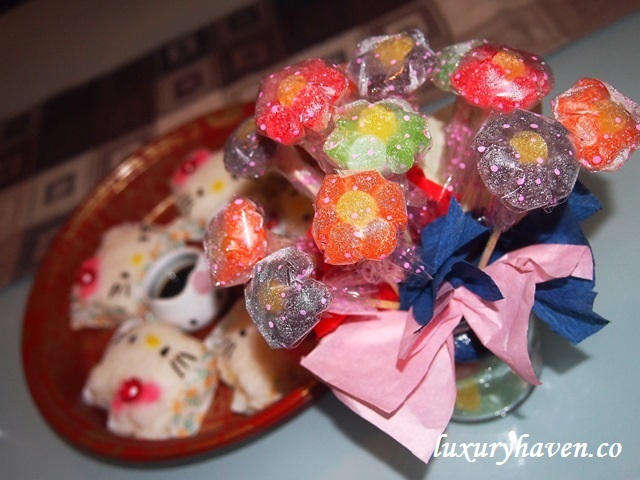 Your #FlowerGummy is completed! Told you it's easy, isn't it? Continue with the rest & place them all in a vase to form a bouquet of flowers. Luxury Haven In Homecooks Spotlight! Hop over to Munch Ministry to read all about it & check out their recipes! Oooo cute! I would so do this if I ever organise a party in my house. Sharon, I'm sure you'll have lots of fun! So Pretty indeed.. and colourful!! Love it! EH, thks! Knew you'll love it! So pretty! Can't believe how easy it is. Awesome and creative outcome. Just love the sugary coating and the vibrant colors. Nava, I'm sure there're lots of people out there already making this since this is simply too irresistible. Oh boy! It does look simple but I think skills are still needed for this project. And I think I would be struggling with the Hello kitty project which looked so adorable especially the pinky ribbon portion. Congratulations on your interview with Munch Ministry which I have read all about your passion in cooking and blogging. Keep it up! DS, hahaha! You're always so humble. Thanks so much for your support! You've been a awesome fan these years! Uru, it wasn't my idea. I saw a pix in FB & tried to replicate it. Thks, sweetie! Bam, thks for the lovely note! You've a wonderful weekend too! These are beautiful and creative. I would go for these edible bouquet any way over the real flowers. :P These would definitely brightens up any one's day. Thanks for sharing. Amy, hahaha! That's so true, my dear! 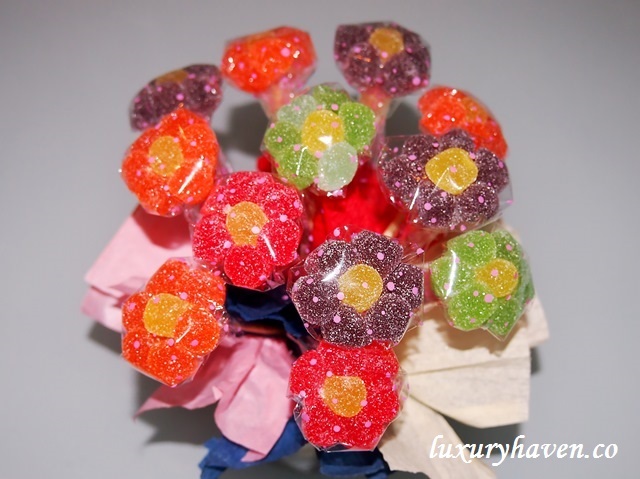 Hi Shirley, Such beautiful flower gummies and killing 2 birds with 1 stone; for decoration and it's edible too. Yeah, congrats to you. You are indeed great! 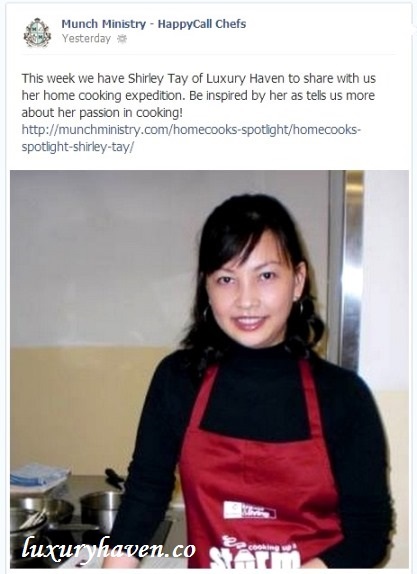 Hi Shirley, congratulation to you. 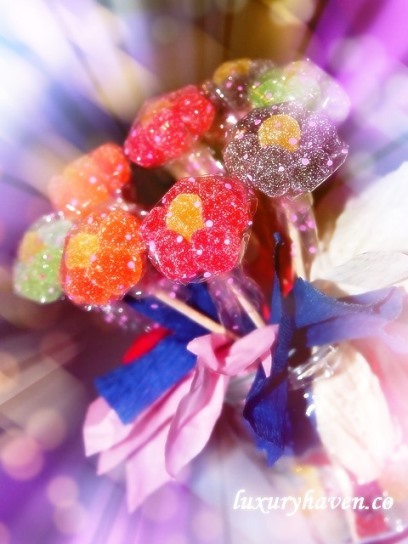 That gummy flowers sure look cute and pretty. Great for children parties too. Thanks for sharing the step by step method. haha i might end up eating all the gummy before the flower can happen. Pepper, hahaha! You're so adorable! So cute! I love the flowers! You are so creative! Lovely flowers. It is Teacher's Day today in Singapore? No wonder my Singaporean cousin was ranting about teachers in fb. She used to be a school teacher but now opens up her own tuition centre. I love Munch Ministry's recipe. I got my flip pan recipe from the website. Rose, thanks for the lovely note! Yap, lots of greetings in FB today. Hahaha! Happy cooking, sweetie!